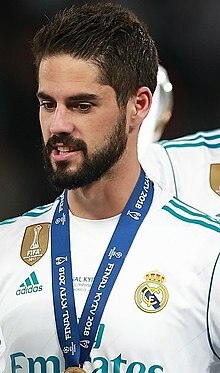 ^ Isco: Real Madrid agree deal for Manchester City target. BBC. 2013-06-27 [2014-12-24] （英语）. ^ Mark Doyle. The Spain international was keen to lavish praise on his new club after previously criticising los Blancos in an interview four years ago. GOAL. 2013-07-03 [2014-12-24] （英语）. ^ Much-changed Spain dominate Belarus. UEFA. 2014-11-15 [2014-12-24] （英语）. ^ The highly-rated youngster is set to complete his move to Real Madrid, but is seemingly a keen admirer of Barcelona and their players. Jun 29, 2013 [2014-12-24] （英语）.